Community Engagement in countering violent extremism in Cox’s Bazar (CEVEC) is an innovative project of YPSA that aim to eradicate extremism in Cox’s Bazar district. The project started on 26th July and will end at December 2018. DG NGOAB Md. Ashadul Islam was the chief guest of inaugurating ceremony of the project held at Cox’s Bazar Deputy Commissioner Office auditorium. Monitoring and Evaluation Training of the CEVEC project held on 09th February, 2017. The meeting was presided over by Team Leader, CEVEC Project Ms. Khaleda Begum. 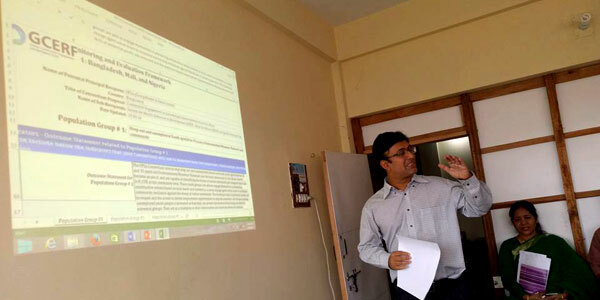 In the meeting Mohammad Shahjahan, Deputy Director, (Head), KM4D and CEVEC project Focal Point delivered welcome speech. YPSA CEVEC Consortium Management Unit Staffs, Project managers, FOs and FFs of all SRs were present in the review meeting. The objectives of the training of Monitoring and Evaluation is to prepare the proper preparation of monitoring plans, monitoring tools, categorization of the activities both in terms of quantity & quality procedures. 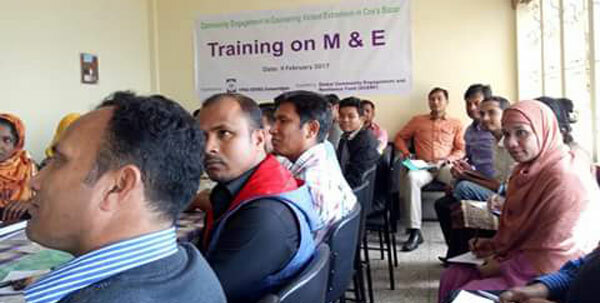 This Day Long Orientation on M& E training organized for common thoughts and understanding of M&E framework and its operations within the program at the field level by the YPSA Consortium members Organizations (Jago Nari Unnyan Sangstha, Help Cox’s Bazar, SHED and YPSA) . During the opening speech of training, Team Leader shared the Monitoring findings of partner organizations and YPSA working area visit by officials. Focal Person of YPSA CEVEC project delivered his speech about the importance of Monitoring and Evaluation as a successful implementation of any project and this training will help to make every CEVEC Consortium staff as a monitor. 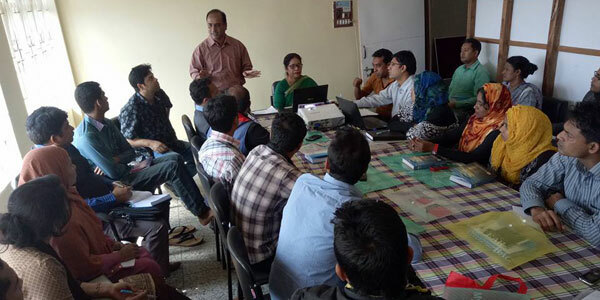 Prabal Barua, M&E Officer and Tawhid Murad, MIS and Documentation Officer of YPSA-CEVEC project facilitated the training and demonstrated the Monitoring Tools, M&E Framework of CEVEC project and Guideline of M&E Tool’s completion for different activities of the individuals and organizations. They stated that as per the M&E Framework of the CEVEC project, each planned activity will be carefully and effectively monitored.